Renovated in December 2017, The Beach Retreat is a cozy duplex located in the heart of a large tropical garden with an infinity pool. In search of escape in the tropics, lazing in the sun, by the pool or on the hot sand crossing the street, waking up to the sound of birds, romantic sunset with views of the Coin de Mire: The Beach Retreat is for you! Pack your bags, The Beach Retreat is waiting for you !!! Featuring 2 air-conditioned bedrooms, living room, wifi, satellite channel, open dining room on the veranda, bathroom, 2 toilets, fully equipped kitchen, the duplex can accommodate up to 4 people (suitable for families with children). Located in front of Bain Boeuf beach, The Beach Retreat is 5 minutes drive from the beaches of Pereybere and Cap Malheureux and 10 minutes from the seaside resort of Grand Baie with its sandy beaches, various water activities, many shopping centers and restaurants. In order to fully enjoy your holidays, we offer a home help service (daily cleaning with the possibility of preparing typical Mauritian dishes or not (at choice)) at no additional cost. Secure residence with the presence of a night watchman from 18h to 6h in the morning. 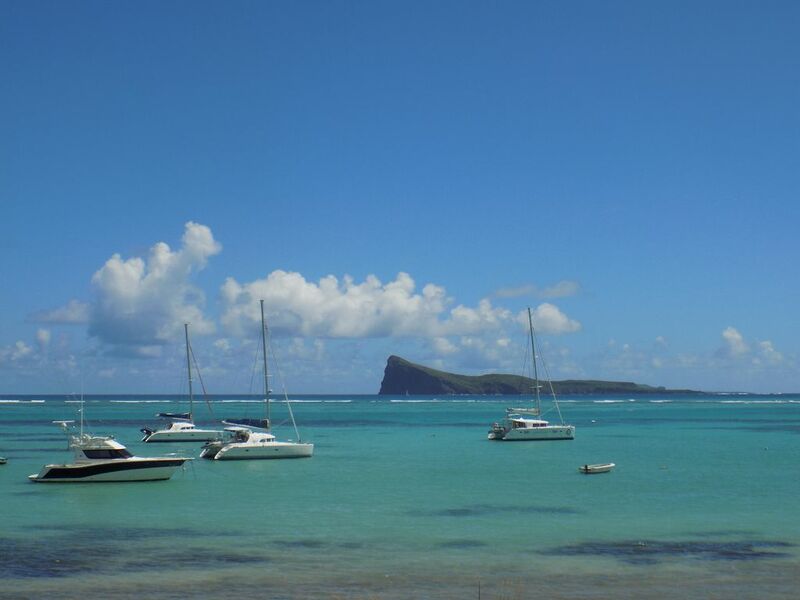 In the surrounding area, you will find the famous church of Cap Malheureux and its red roof, the landing stage where you can see the arrival of the fishermen and their finds of the day, diving centers and other nautical activities such as catamaran day, a spot of kite surfing at Anse la Raie, wellness centers to relax, many restaurants, etc ... Practical information: a supermarket Winners Pereybere is 5 minutes by car and hypermarket Super U Grand Baie 10 minutes. The bus stop and the taxi stand at Bain Boeuf are a 1-minute walk away. Very useful for your trips with a local touch.